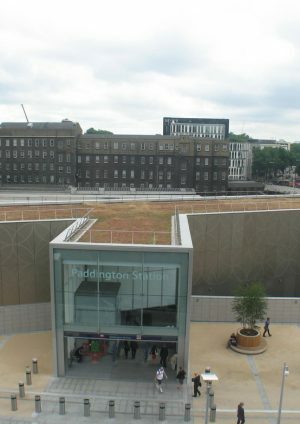 Environmental issues have been central to the development of Crossrail from the early stages of the project and from the outset, measures to avoid, reduce or mitigate environmental impacts were incorporated into the design. 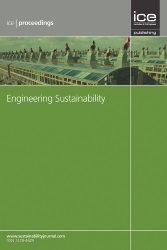 Crossrail has adopted two established sustainability assessment methodologies in order to evaluate performance. These take a whole life view of the Crossrail programme with criteria that cover both construction and operational activities. 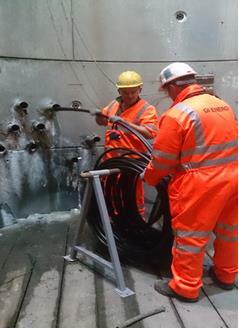 All tunnels, portals (transition structures between surface and tunnel) & shafts (vertical structures linking the tunnel to the surface) are being assessed using the Civil Engineering Environmental Quality (CEEQUAL) methodology and have achieved ‘Excellent’ ratings at Client & Interim Design stage. Crossrail’s aim is to achieve the ‘Excellent’ rating when the project is assessed as a whole upon completion. One of the key challenges found was the alignment of design packages with the procurement and construction strategy. The CEEQUAL learning legacy paper focuses on the key issues and provides suggestions on how the process can be simplified. 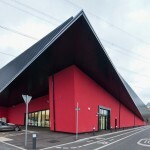 It also addresses the issue of the value of CEEQUAL in driving best practice and overall improvement on a high profile major infrastructure project that is required to deliver high levels of performance through its minimum environmental requirements and rigorous consenting process. The Building Research Establishment Environmental Assessment Methodology (BREEAM) has been adopted for all central section stations. 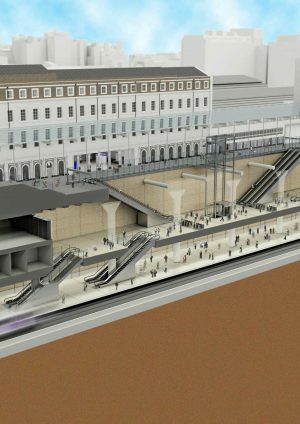 This assessment methodology has never been used on an underground station previously and required Crossrail to work with the Building Research Establishment (BRE) and consultants to develop specific criteria. 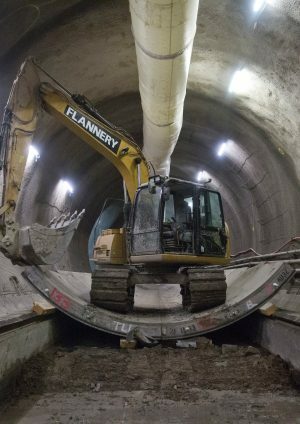 This will help to provide an assessment tool that can be used for future underground station projects. Crossrail’s aim is to achieve a rating of ‘Very Good’. 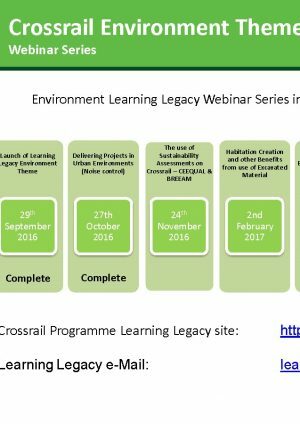 The BREEAM learning legacy paper captures some of the experience of delivering BREEAM on Crossrail and highlight some of the issues that would be pertinent to other underground stations. Significant heat is generated by underground trains, particularly when braking, stopping at platforms and accelerating away from stations. 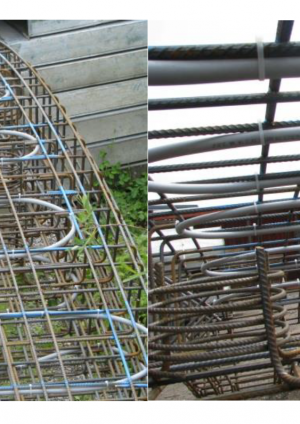 Tunnel Energy Segments (TES) are ordinary pre-cast tunnel lining segments modified by embedding water containing absorber pipes inside the concrete. 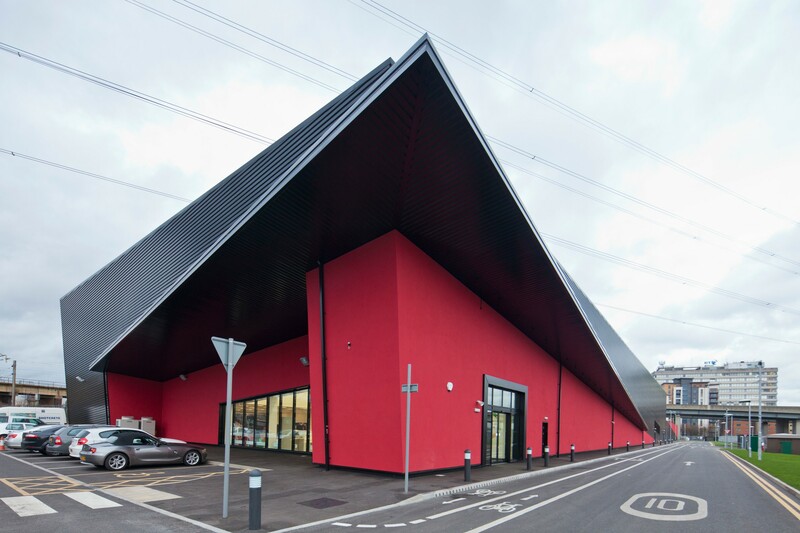 This unconventional approach is designed to extract the waste heat rejected from train operations and upgrade it into usable heat energy for buildings above-ground using heat pumps. A paper published in the ICE Sustainability journal reports on the work carried out in designing thermal energy segments for use on the tunnelled sections of the Crossrail project. This was not taken forward within the project but is shared as part of the Learning Legacy for future projects. Compensation grouting is undertaken where there is a risk of ground settlement in the vicinity of underground excavations and tunnelling. This is particularly a risk in areas of SCL tunnelling. These mitigation works are constructed at huge cost, only to be reinstated at the cessation of construction. The shafts and their expansive grouting pipe (TaM) networks provide the basic infrastructure for ground source heat collection as they have a significant contact area with the ground several metres below ground level and can consist of several kilometres of pipe. Trials undertaken at Whitechapel have demonstrated that viable heat can be extracted from these networks. This has huge implications for the longer term viability of these structures by considering them as heat networks which have a temporary use for construction. Benefits to local community heating/cooling can accrue with potential cooling benefits to underground infrastructure. There may also be potential planning gain benefits. A grout shaft micro report discusses the benefits and technical considerations.